Uniting classic character with a contemporary silhouette, Sunpan’s Lucille Dining Chair sets the table for sleek, unique style. Crafted to last of quality materials, the Lucille Dining Chair by Sunpan is available in your choice of lush upholstery options, each accented with the subtle shine of silver accents. 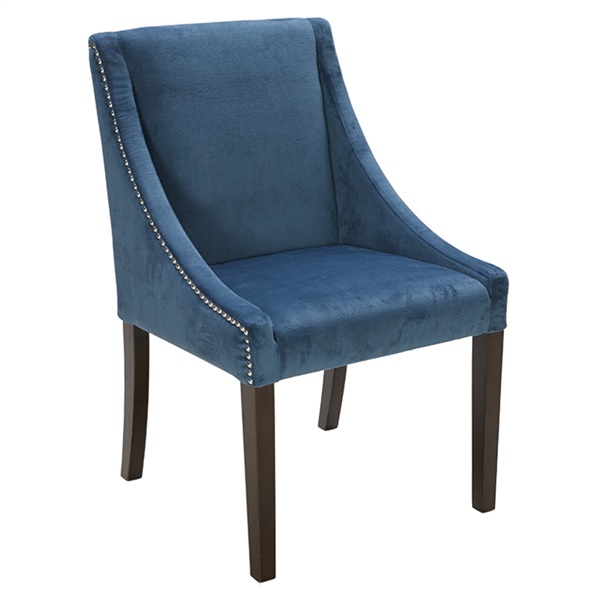 Includes contoured arms with silver nailhead that gives the chair a luxurious look and feel. Wood frame is both strong and supportive. Boasts a distinct chrome ring on the back that further enhances the chair's appearance. Timeless design makes the chair a wonderful choice in a modern or traditional setting.